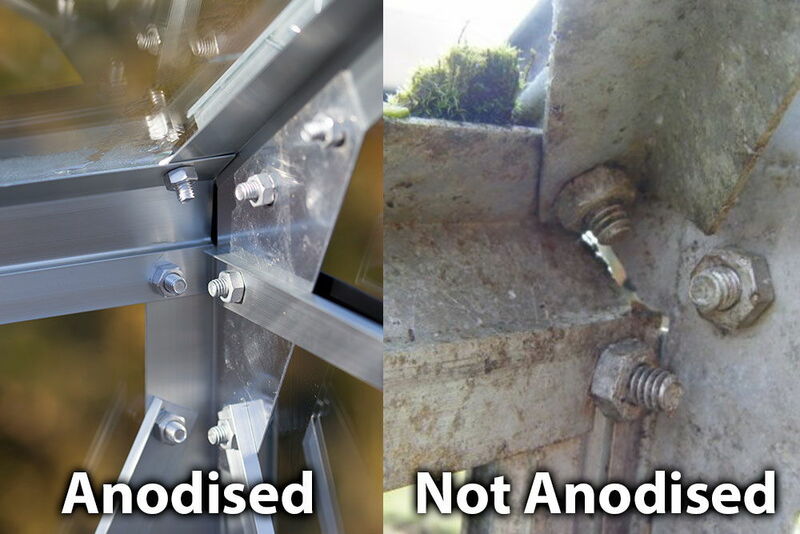 3mm Long Pane Toughened Glazing - Great Safety and Wind Resistance. 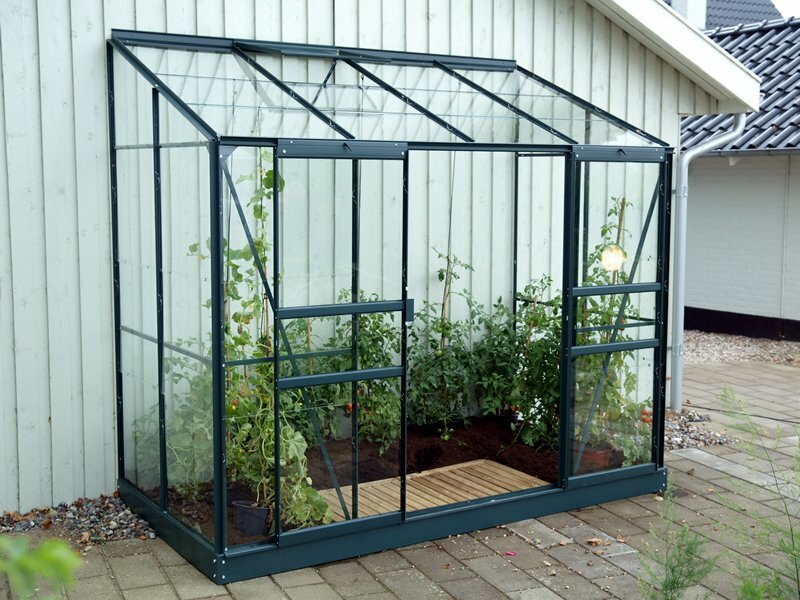 The 8ft x 4ft Vitavia IDA 3300 Lean to Greenhouse in green is spacious and ideal for growing vegetables such as tomatoes or giving your young plants the best start before planting out. The Vitavia IDA 3300 Lean to is ideal for larger patios or placing next to garages or outbuildings. 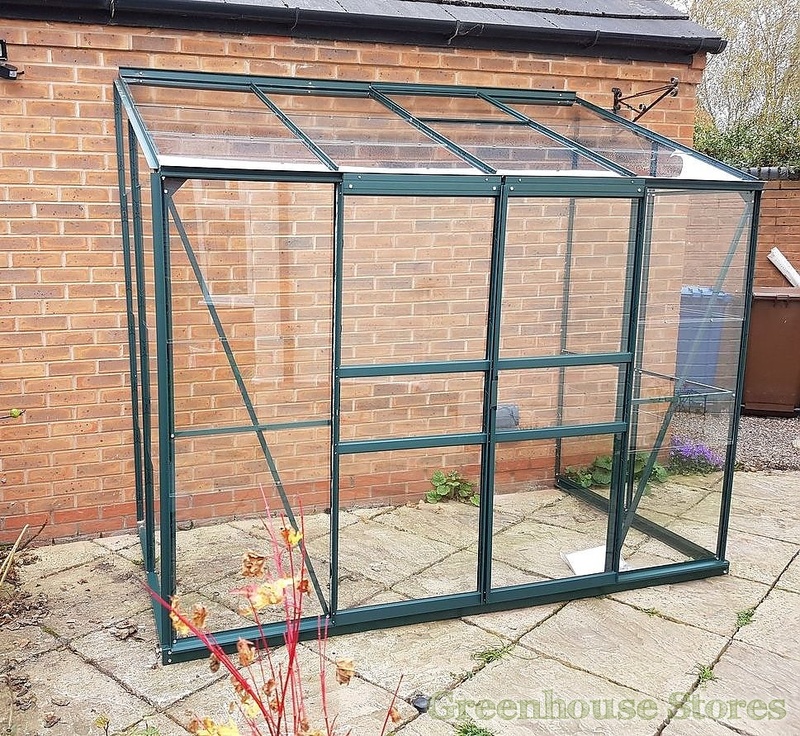 The optional shelving adds 2 shelves to the greenhouse giving further growing options. This IDA 8x4 in silver has 1 opening roof vent for ventilation, smooth sliding double doors and optional steel base which adds 60mm of height. The toughened glazing in this lean to is in our opinion, the best glazing option for safety and suitability to the UK’s delightful weather !